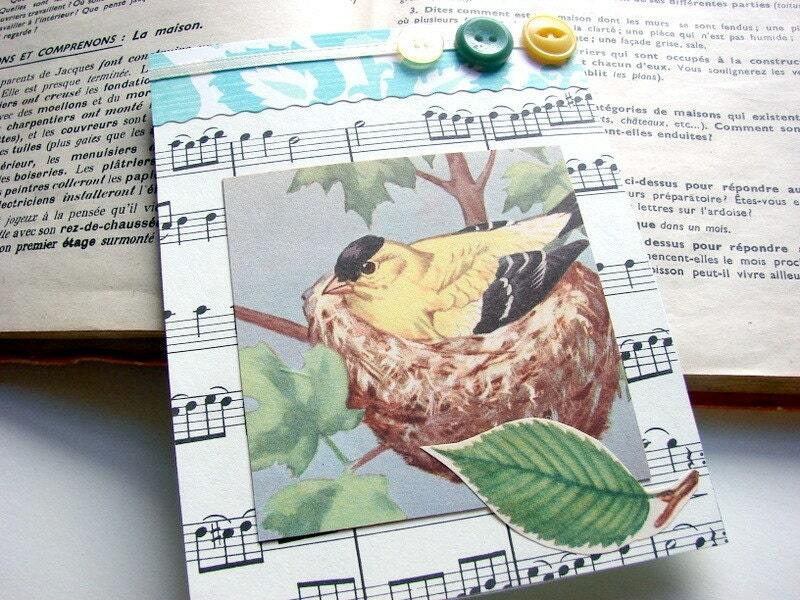 Nesting- An original collage art card from Mimi and Lucy. This one of a kind art card is hand made (by me!) with scrapbook paper, vintage sheet music, illustrations cut from vintage nature books, ribbon trim, and vintage buttons, and measures 4 x 5". Ready to frame or hang as is.